Shortcuts are awesome and make life much easier – even if you are not a power prototyper. 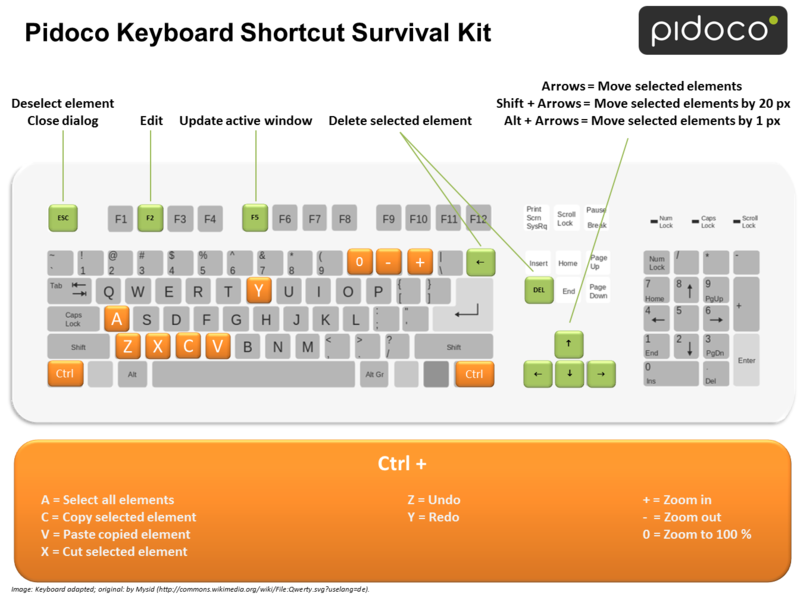 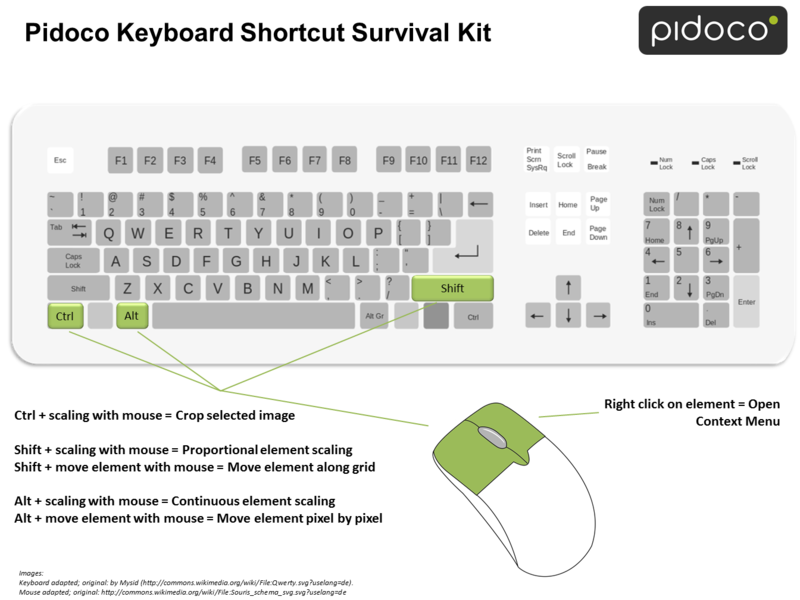 But you don’t have to start looking for shortcuts that work with Pidoco, because we have already created a handy keyboard shortcut survival kit for you! 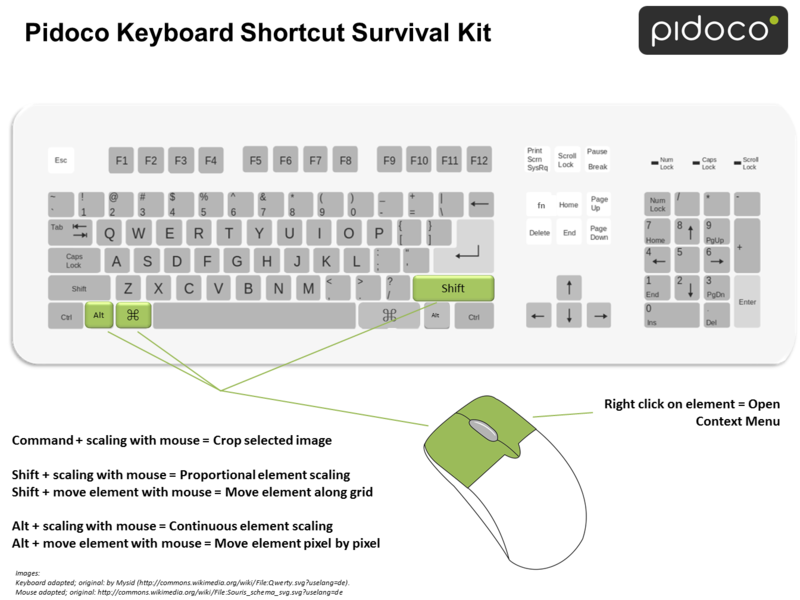 So check it out, print it, and pin it to your desk to save precious working time!